We can provide the best Alpha Romeo car locksmith services in Birmingham, with call out with fast response times all day, every day. If you are stuck without your keys and need a replacement set cutting quick, Car Key Assist can help. Lost Your Alfa Romeo Car Key and Need A Replacement or Spare? 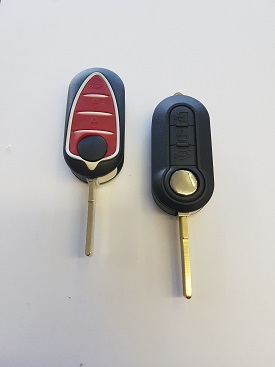 We are able to provide our expert services across the Midlands with a team of reliable automotive locksmiths who will help get you back on the road with a new set of Alfa Romeo keys in the fastest time possible. We work with a range of Alfa Romeo models, including the 147, 156, Giulletta and Mito and are able to cut and programme keys and remotes with the latest technology available. If you are looking for the the best Alfa Romeo locksmith in the West Midlands, Shropshire, Staffordshire, Herefordshire, Worcestershire and Warwickshire, the contact Car Key Assist now.